Laura, The Diva always surprises me with her imagination for coming up with such fun challenges. This week it's dots, dots and more dots! Wow, this is lovely. What a great time to do white on black. I love it. The feather is lovely! Nice tile! I love that you used white on black! It is stunning! This works beautiful on black. 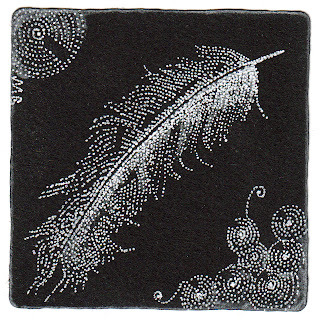 Your wispy feather just floats ... the simplicity is mesmerizing! You put a special twist in your works ... I love visiting this blog!! 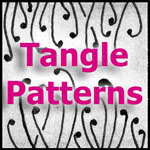 Your tile looks amazing, been new to zentangle i have seen coloured tangles but not white on black, its very effective. My favorite so far! I love the white on black. Wow! I just love this white on black piece! Beautiful! This is absolutely gorgeous! 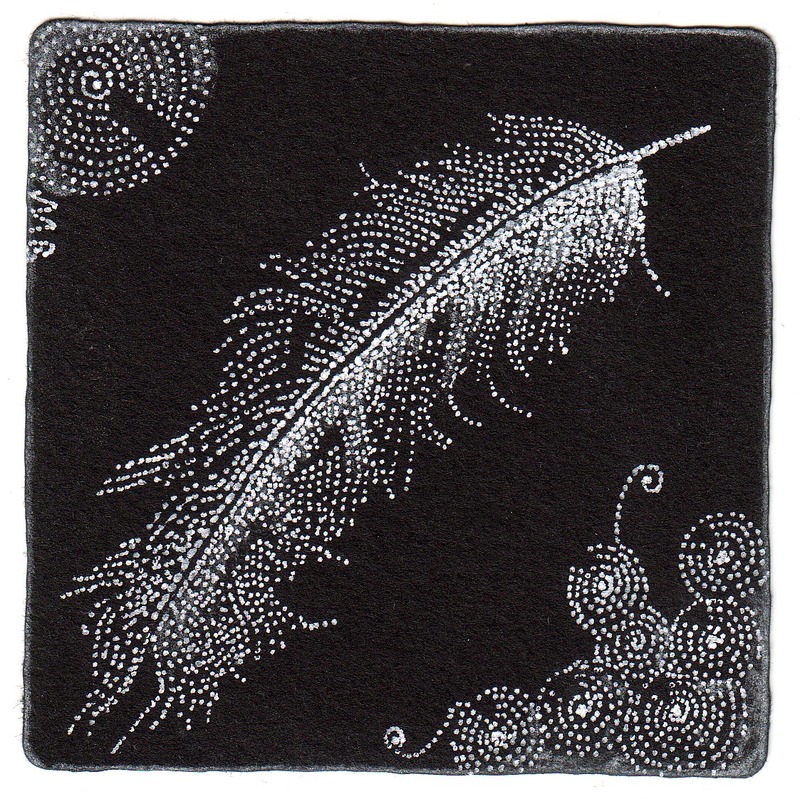 The feather is hovering over the black background! Great idea! So pretty on the black! 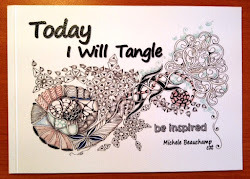 _ It's funny I was inspired to do a feather tangle too! Beautifully exceptional as always! Love your work! Your feather is so delicate - very nicely done. The white on black looks great. Not sure I would have wanted to tackle this with a gel pen, but as usual you provided a stunning piece. yes yes yes yes YES! YES! perfect, yes! This is so delicate! Love the white on the black! Stunning! Beautiful! Light as a feather! WOW Shelly this is amazingly beautiful!